Week two of your pregnancy ends with your eggs being released from fluid-filled sacs called follicles and being met in your fallopian tubes by one lucky sperm. This is where week three of your pregnancy begins, with the sperm meeting the egg. You are officially pregnant if the egg that your ovaries made has been fertilized. A miracle has begun! As you might know there are many different ways that you and your doctor can determine the age of your baby. One way for them to determine the age is by using the date of your last menstrual period or LMP. This method is dependant on your ability to know when your menstrual period occurs. If you are trying to determine what your baby’s developmental stage is you should ask your healthcare provider if he is using the LMP to determine the stage of your pregnancy. If he is in fact using the LMP all you need to do is to take two weeks away from the date your doctor gives to you. An example of this would be: your doctor says you are six weeks pregnant; your baby is then four weeks old. The beginning of your baby’s development is of course fertilization. 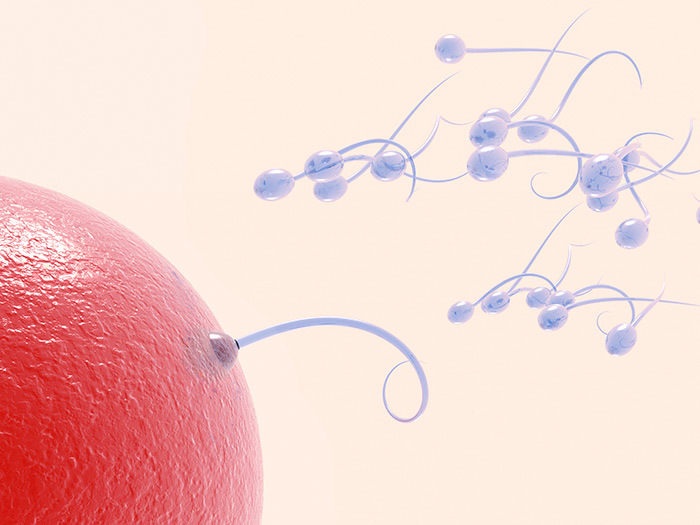 Fertilization occurs when “The Sperm” meets “The Egg”. Before fertilization occurs though your body must prepare a place for the fertilized egg to settle in and call home. This is why your body produces estrogen. The estrogen sends a message to your uterus to form a blood-rich lining of tissue and rising levels of the hormone progesterone prepare the uterus to support the fertilized egg. At the same time, the ovaries ripen eggs in fluid-filled sacs called follicles. It’s during this brief period that your body’s preparation can result in conception once sperm meets the egg. The sperm meets the egg within the fallopian tube and the miracle of life begins. More than one sperm may penetrate the egg’s outer layer, but only one sperm will enter the ovum and fertilize it. Once the sperm gains admittance to the ovum your chromosomes and your partner’s chromosomes intermingle, and begin to form your baby. The fertilized egg travels through your tubes and then implantation begins into the rich uterine lining. The egg is now called a blastocyst, and is very tiny, only measuring about 0.2 mm (0.008 inches), just barely visible to the sharpest eyes. In fact, you won’t even know you’re pregnant at this time, at least for about another two weeks. 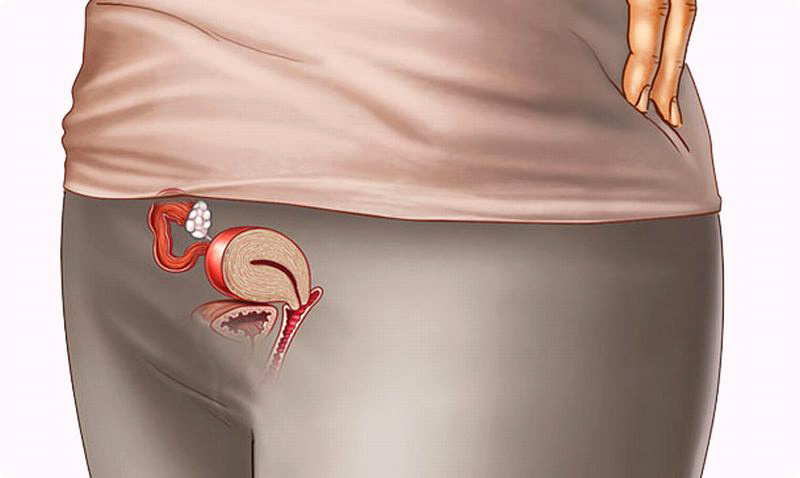 Once the fertilized egg implants into your uterus, some spotting or implantation bleeding can occur. If two eggs are released from your ovary or one egg from each ovary and are fertilized by two separate sperm, you will have fraternal twins. They will be like any other siblings only they will share the same birth date not the same chromosomes. Now, identical twins are a whole different ballgame. This is when the same egg is fertilized by the same sperm and then divides in two, or divides into three or more. You get the idea. 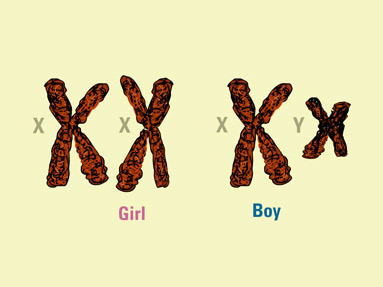 Not only will they share the same birth date but also they will share the same chromosomes. They will look the same, be the same gender and have the same hair and eye color, hence the name identical twins. Protein. In week two, we talked a little about nutrition. If you’re grying to get pregnant, and you are assuming the best, that you have conceived, then protein for your baby’s development is necessary. So get at least 60 gms of protein daily. Calcium. You might go without calcium, but the baby will get it one way or another, and over the next months, this may drain your own calcium stores. So make sure your diet is rich in calcium. Milk, cheese, and yogurt are a good start. Calcium is also in green leafy vegetables. Iron. Your baby (and you) will need to make blood, so your diet should include leafy green vegetables, red meat, beans, and eggs for iron sources. 30 mg of iron daily is adequate.